Gary is a research and teaching professor at The Oceans Institute and the School of Plant Biology, the University of Western Australia. 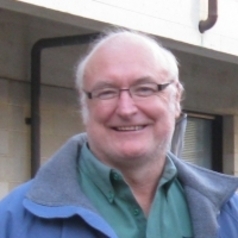 Gary Kendrick’s long-term research goal is to develop a predictive framework for understanding the spatial and temporal dynamics between marine species distributions, their biology and the physical environment. He has been active in marine ecosystem-based management, spatial planning and marine protected areas with a long history of supplying baseline information,being involved in community outreach and monitoring and planning for marine parks. In the 1980s he worked as scientific support in the USA for changes to coastal intertidal areas within the US Olympic National Park, in Washington State and in initial declaration of the Galapagos Marine Resources Reserve, Ecuador. He returned to Western Australia in the late 1980s and subsequently has been involved with the State Marine Parks Network, mapping benthic marine resources in marine parks in NSW and Victoria through the Coastal CRC, mapping and biodiversity assessment in temperate WA with NHT II and Caring for our Country funding, working closely with regional catchment and management councils, was on the indicative planning committee for the zoning of the Ngari-Capes Marine Park, Ecosystem Based Fisheries Management in WA with Fisheries WA, IMOS Autonomous Underwater Vehicle National Program, the Marine Biodiversity National Environmental Research Program among other activities.